NORTH CONWAY, NH (May 10, 2013) — According to the food marketing company, Sterling-Rice Group, and the National Association for the Specialty Food Trade, gourmet popcorn is one of the top ten food trends for the 2013—and that's just as it should be says Bobby Bell. 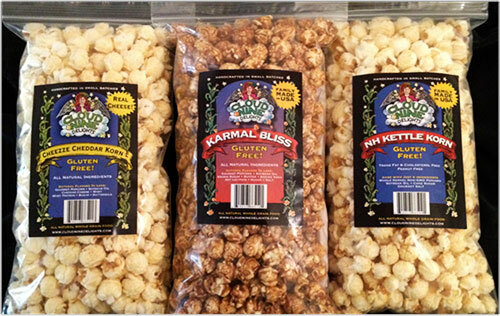 Bell is owner and “master popper” of Cloud Nine Delights, a North Conway, New Hampshire-based company that specializes in handcrafted small-batch popcorn. Bell founded the company 15 years ago, but has recently seen explosive growth, thanks to the heightened interest in unique flavors, like Cloud Nine Delights' sweet and salty NH Kettle Korn, caramel-coated Karmal Bliss, and Cheeze Cheddar Popcorn. For more information on Cloud Nine Delights snacks, contact Bobby Bell HERE.